Size of this preview: 800 × 529 pixels. Other resolutions: 320 × 212 pixels | 831 × 550 pixels. 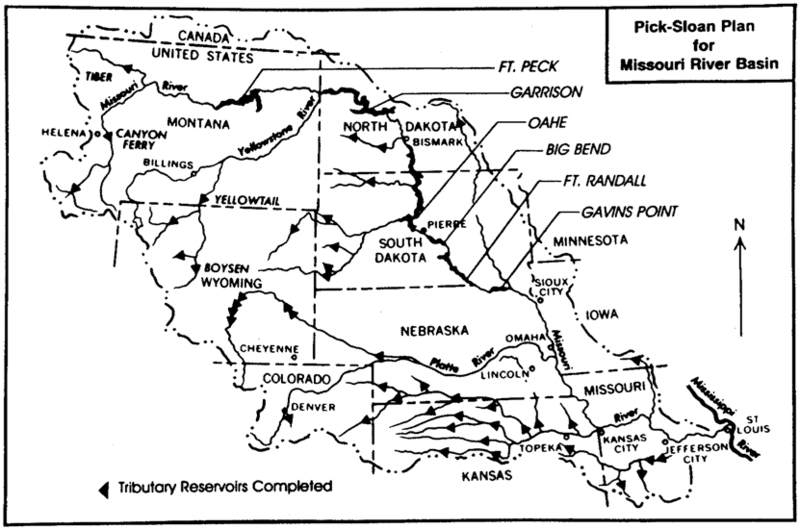 Description: "Pick-Sloan Plan for Missouri River Basin". 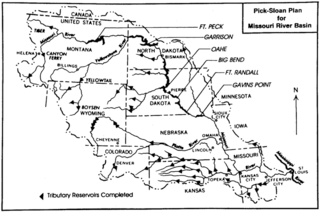 Note: The map highlights Fort Peck Dam which was built by the US Army Corps of Engineers in 1940 before the Pick-Sloan Project. It does not highlight Canyon Ferry Dam that has been part of Pick-Sloan but was constructed by the Bureau of Reclamation. This page was last modified on 2 April 2017, at 18:18.